Unifor Local 444 President Dino Chiodo announces Integram Seating employees ratified a deal at the seat maker in Windsor, Ont. Workers at Integram (Magna) Seating in Windsor, Ont., ratified a new four-year labour agreement by an overwhelming margin late Monday, avoiding a strike that threatened output at two Ontario vehicle assembly plants it supplies. Integram produces 1,500 seats and 10,000 foam seat parts daily at a Windsor factory for the GM CAMI plant in Ingersoll and the FCA Windsor assembly plant. Both rely on just-in-time delivery of the seats and parts. About 1,000 members of Unifor Local 444 went on strike briefly Sunday and early Monday after rejecting a previous, tentative four-year deal. The two parties reached an initial tentative agreement early Friday, after bargaining was extended past a midnight strike deadline. But 58 per cent of 730 members who cast ballots voted it down Sunday just before noon. The two sides reached a new tentative agreement at about 4 a.m. ET Monday and the strike ended and shipment and production of parts resumed for the day. Roughly 14 hours later, members ratified that deal, which the union said included "some small tweaks." The latest deal passed when 86 per cent of the more than 800 who voted did so in favour of the new contract. It includes a $3,500 signing bonus, up from the $1,000 that was in the rejected deal, and the elimination of employee copayments for benefits. The previous tentative deal included a 50-cent copayment for every hour worked, capped at 40 hours per week. The deal comes with a cost. 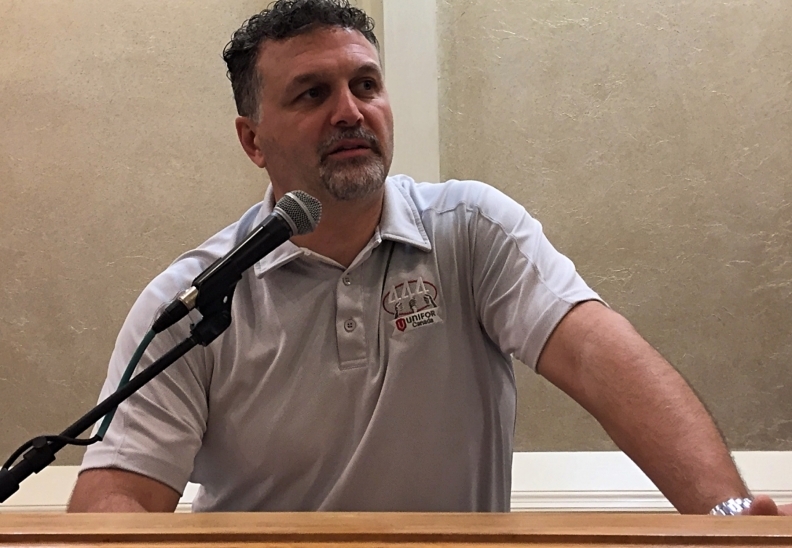 Unifor Local 444 President Dino Chiodo told Automotive News Canada immediately after the vote that Magna International, which owns Integram, will move some of the foam work out of Windsor to offset the cost of the increased bonus and elimination of the copayment. It means between 60 and 80 people will lose their jobs. Chiodo said the foam work was already in jeopardy. Because Integram builds two parts of seats, the framework and the foam seating, the operation is a blended one, consisting of Tier 1, Tier 2 and Tier 3 supply work. The Tier 1 work pays more than the other two. Unifor tried to get "a blended wage" to account for that and have the entire workforce make "basically the same rate," Chiodo said. That now makes the foam work for the GM supply chain too expensive, he said. Chiodo told members that jobs would be at stake if they approved the new deal and the membership still voted in favour of it. Chiodo also said Magna informed the union that during the length of the contract it will review the foam work it does for FCA and if it becomes too expensive, those jobs will also be lost. Starting wage at Integram Seating is now $17.68 per hour and does not include copayment deductions.